The Translation Centre of Iceland’s Ministry for Foreign Affairs was established in 1990 to translate Acts falling under the European Economic Area Agreement (EEA) as well as the Agreement itself. By the end of 1994 all documents pertaining to the Agreement and its additional protocols had been translated. At present, the main task of the Centre is to translate Acts falling under the Decisions of the EEA Joint Committee and other texts related to the European Economic Area. The Centre also translates international agreements and legal texts, formal letters and other such texts. The Ministry for Foreign Affairs is the “Official Gateway to Iceland.” For more information on the Ministry, please visit www.mfa.is. 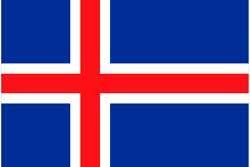 For more information on Iceland, please visit www.iceland.is.